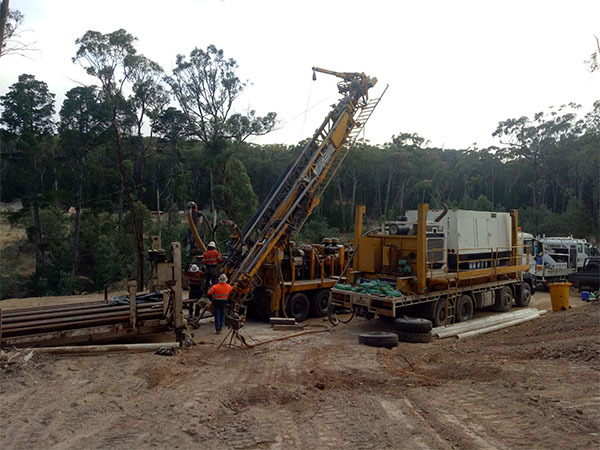 ECR Minerals plc (LON:ECR), the precious metals exploration and development company, is pleased to announce that drilling at the Black Cat gold prospect in the state of Victoria, Australia, has commenced and the first two holes have been successfully completed. Composite samples representing 4m downhole lengths will be compiled from the Black Cat drill cuttings and sent to be assayed for gold. After receipt of the assay results, composites which have returned anomalous gold grades will be re-sampled on a metre by metre basis and this second set of samples will be sent for assay. Assay turnaround time is estimated to be 2-6 weeks. It is also the Company’s intention to provide site photographic images for the Black Cat gold prospect drill location and drilling process on the Company’s website. 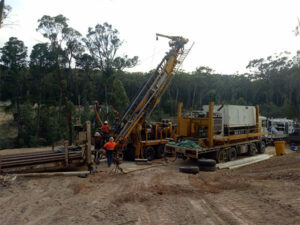 ECR Minerals plc (LON:ECR), the precious metals exploration and development company, is pleased to announce the commencement of its gold focused drilling programme at the Company’s Victoria Region gold projects in Australia. A contract has been signed for 4,000 to 6,000m of reverse circulation (RC) drilling in Victoria, Australia by ECR’s wholly owned Australian subsidiary Mercator Gold Australia Pty Ltd (“MGA”). The DMS is the hard-rock source of much alluvial and deep lead gold, with historical alluvial and deep lead production estimated at up to 2.5 Moz in the Creswick/Berry lead system, and up to 11 Moz in the entire Ballarat area, of which the DMS is a significant contributor. 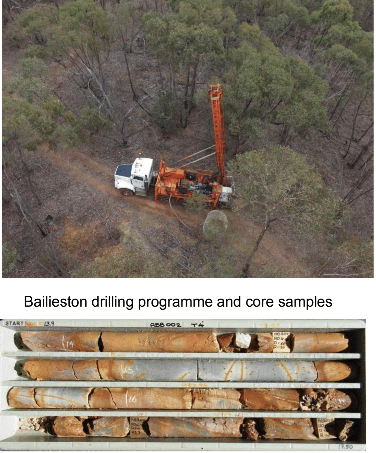 The drill target at Blue Moon is a sandstone which has been heavily weathered near surface, but may host higher grade gold mineralisation, including disseminated sulphides, at deeper levels. Craig Brown, Chief Executive Officer of ECR Minerals plc, commented: “I am delighted to announce the commencement of this dual drill programme at Creswick and Bailieston which is seeking to test multiple gold targets across both projects. 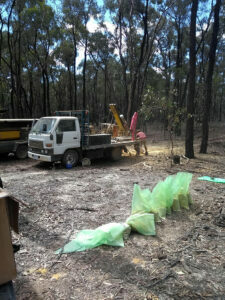 This is an extensive drilling campaign by the Company, and one of the largest we have undertaken in recent times. 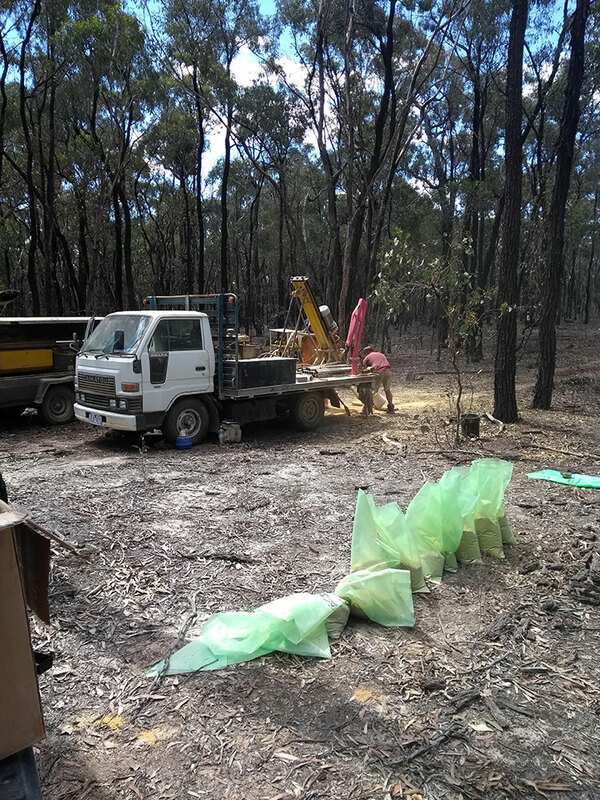 ECR’s objective is to discover a multi-million ounce gold deposit in Australia and based on the significant technical work undertaken to date, we believe the Creswick and Bailieston licences hold the potential for such a discovery. All the planned drilling is being undertaken from existing cash resources. The Company will be entitled to claim back a proportion of drilling costs under government grants subsidising drilling. As a result, and assuming on budget operations and cost recovery through grants, the entire programme is estimated to amount to under 20% of existing cash resources. I would like to thank our technical team and advisers for their hard work in recent weeks to bring this programme together.